This entry was posted in Cast Stone Fireplace Surrounds and tagged fireplace decor, fireplace mantel decor, interior design, mantel, mantel decor, spring, springtime, style on March 28, 2016 by Old World Stoneworks. Saint Patrick – birth name Maewyn – is Ireland’s patron saint. But his celebrations were more staid in Ireland. It wasn’t until Irish immigrants started flooding into the US that the parades and parties we now associate with Saint Patrick’s Day were born. The March 17th holiday is now celebrated in many parts of the world. In Illinois, 40 pounds of Kelly green dye tint the Chicago River. In Monserrat, West Indies, people combine Saint Patrick’s Day with the commemoration of an attempted slave revolt, and party for an entire week. Flamenco dancers drink Guiness at Cabo Roig, the site of Spain’s biggest St. Patrick’s Day parade. From Quebec to Tokyo, Moscow to Auckland, everybody wants to be at least a little bit Irish on March 17th. This entry was posted in Cast Stone Fireplace Surrounds and tagged decoration, fireplace decor, fireplace mantels, holidays, interior design, mantel, mantel decor, saint patrick's day on March 10, 2016 by Old World Stoneworks. We all know that one of the most enjoyable aspects of home ownership is choosing what to do inside your house. From the flooring to the furniture, all the way to fireplace mantels, the choice is yours. In a way, how you decorate and style your home is an intimate reflection of who you are as a person. 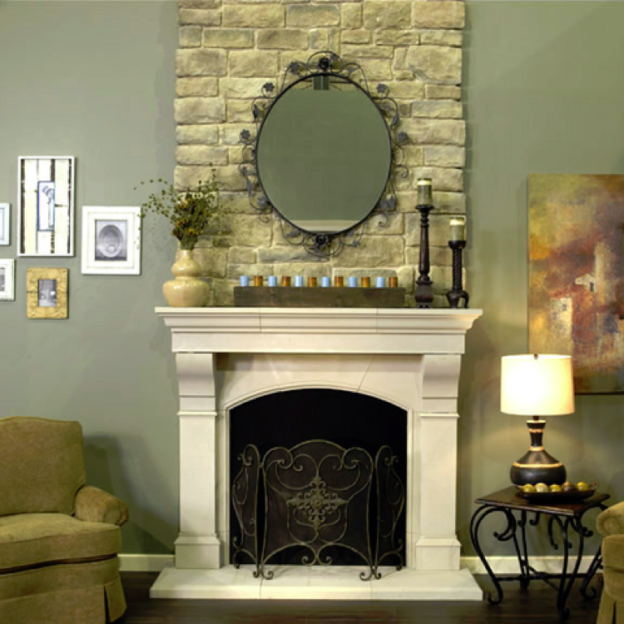 Luckily, Old World Stoneworks mantels are so versatile, they can be paired with just about any décor style your heart desires. The only question left to answer is: What is your decorating style? This entry was posted in For Interior Designers and tagged decorating style, fashion, fireplace mantel, interior decoration, interior design, mantel, style on March 4, 2016 by Old World Stoneworks. This entry was posted in For Interior Designers and tagged holiday decorations, holidays, interior design, mantel, thanksgiving on November 19, 2015 by Old World Stoneworks.